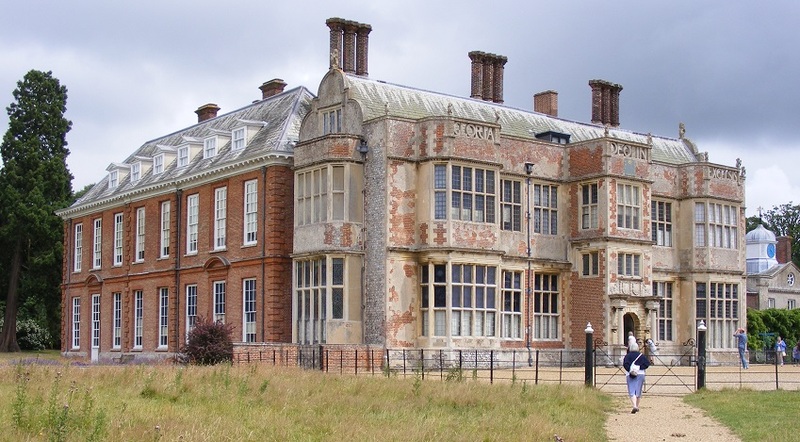 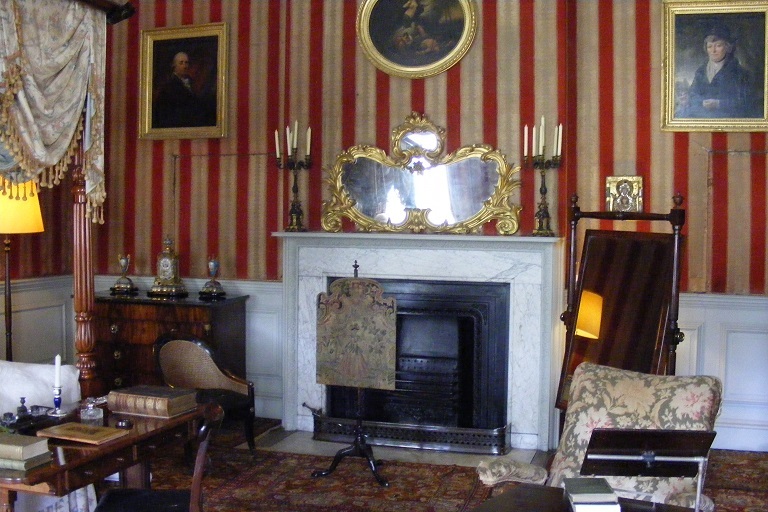 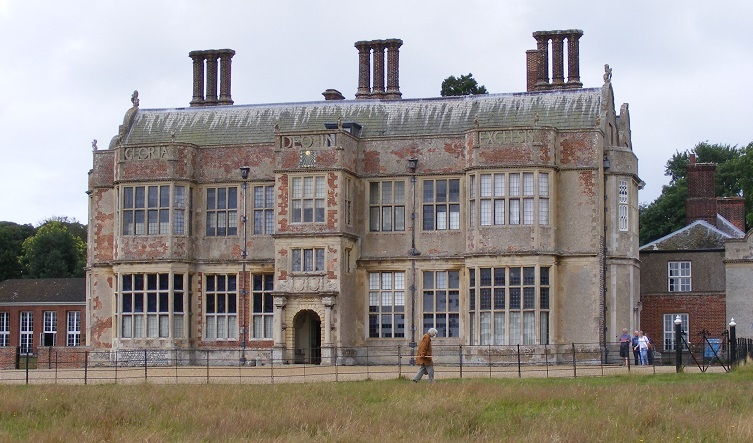 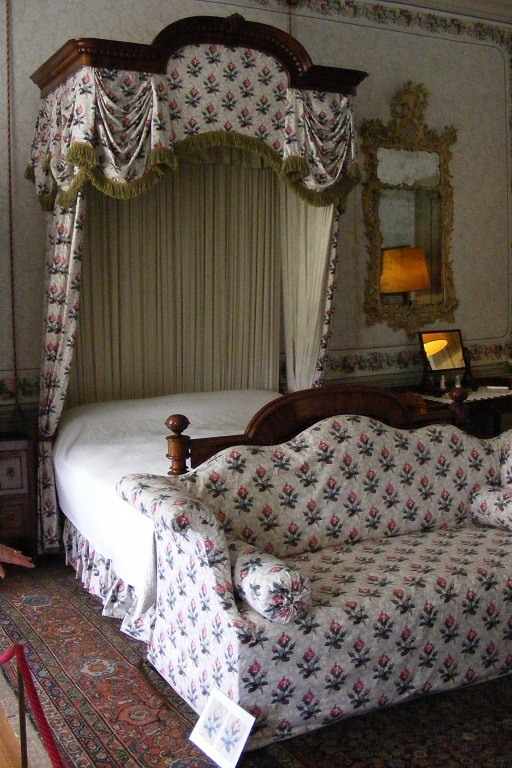 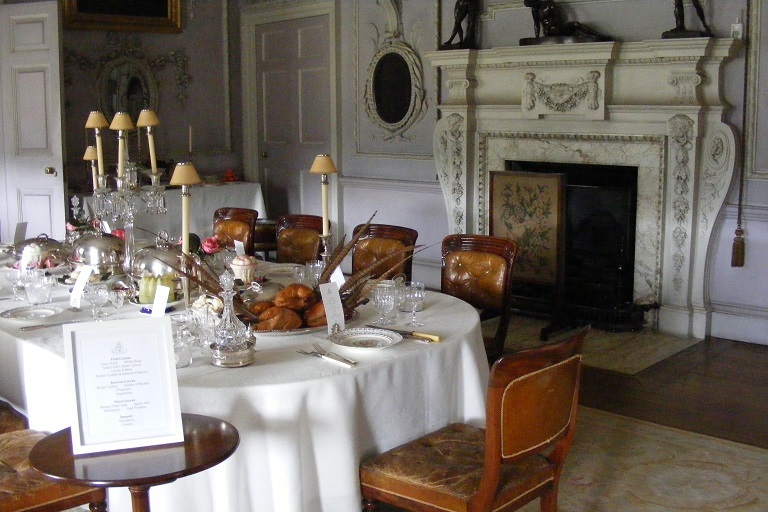 We visited Felbrigg Hall, a National Trust property, during the morning. 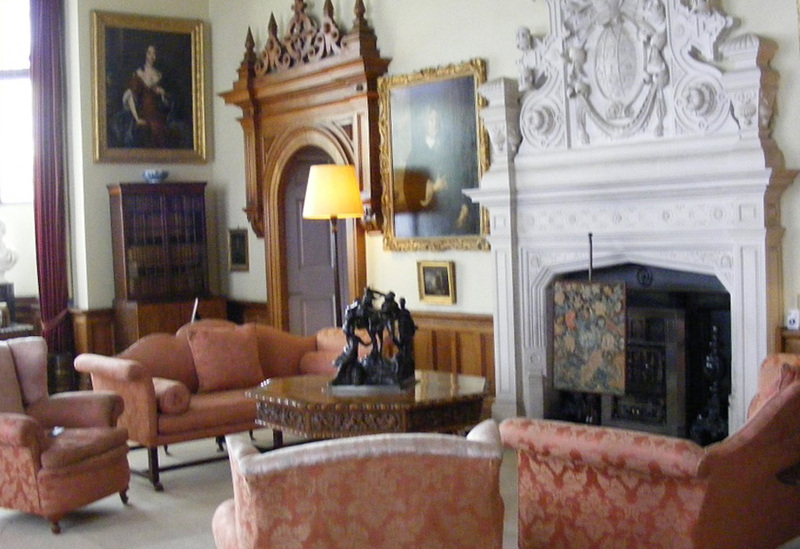 There has been a large country house since the 15th century but the present house dates from the Jacobean period with later additions and alterations from the mid 18th century and from the mid 19th century. 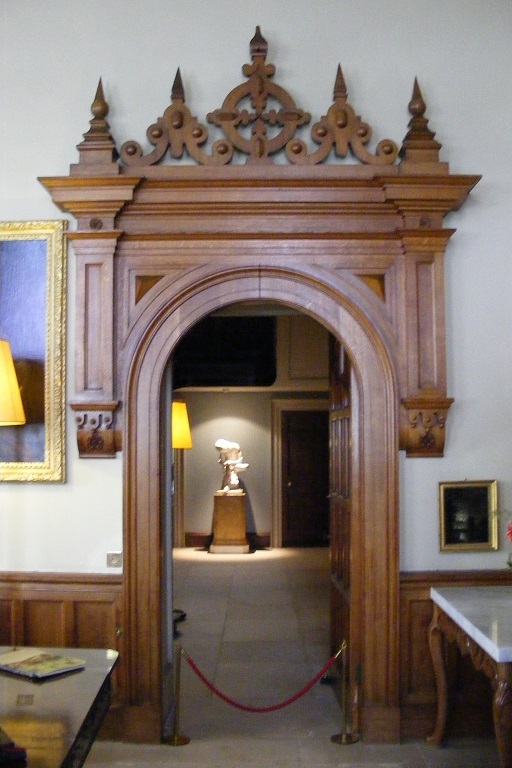 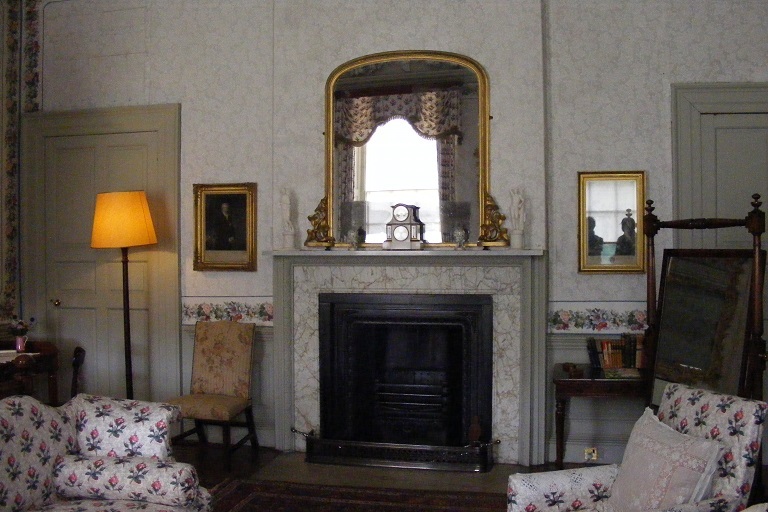 Interior photographs - sitting room, very ornate door surround (many in the house are similar), 2 bedrooms with different themes. 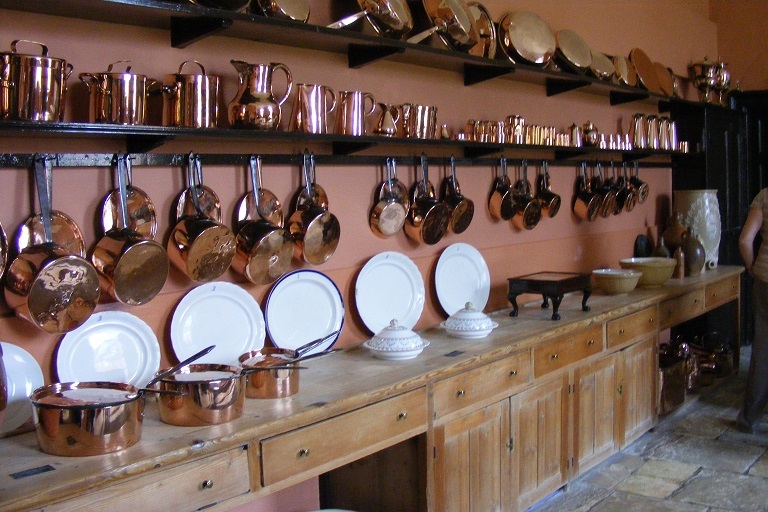 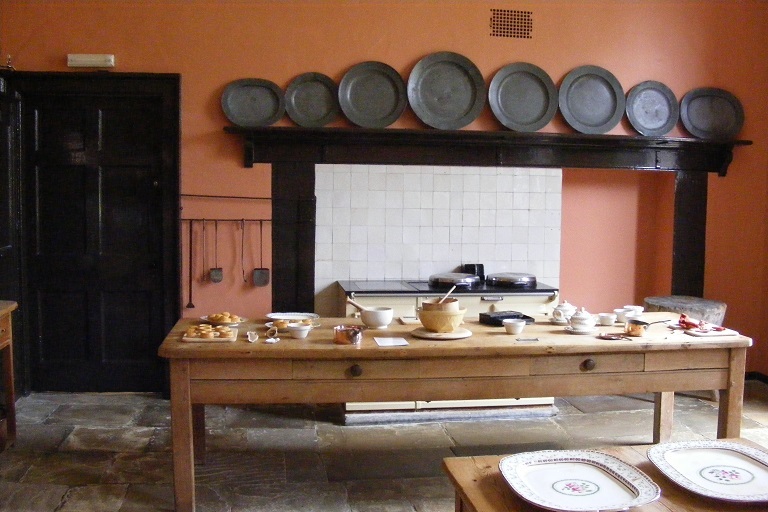 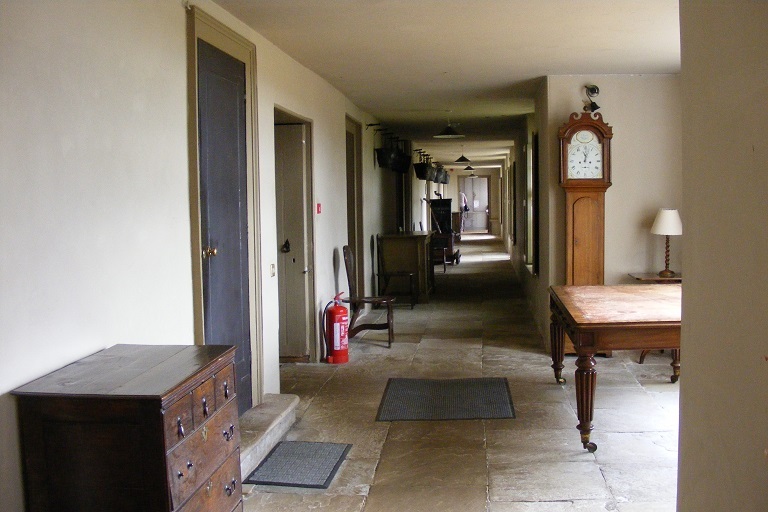 Servants' areas below stairs - kitchen and main corridor. 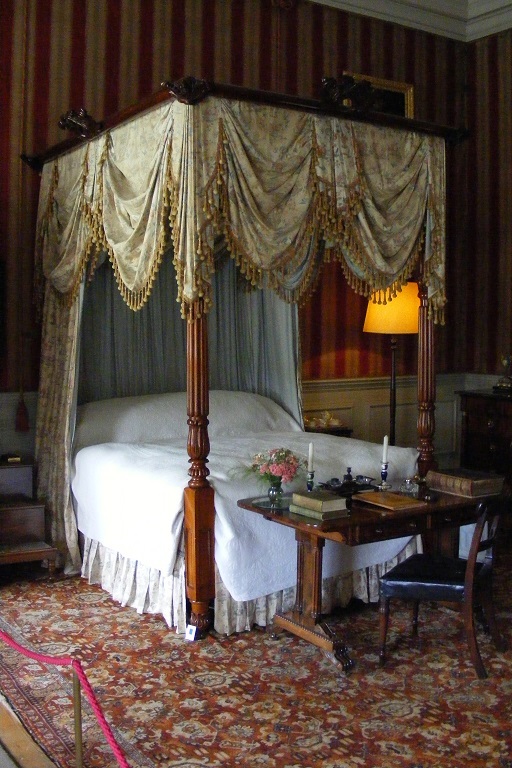 After a violent rainstorm just after lunch, the weather all afternoon alternated between showers and dry periods. 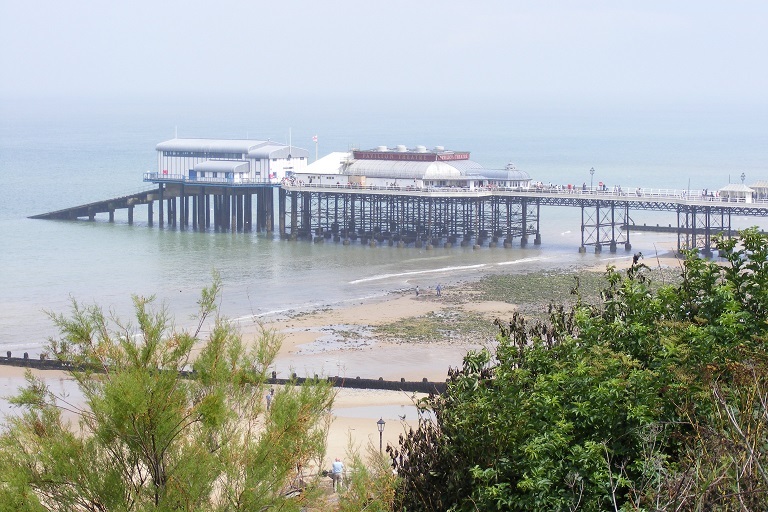 We went to visit Cromer as Edwin had a distant relative who was in service to a rich titled family in Cromer during the Edwardian period and he wanted to look over the town. 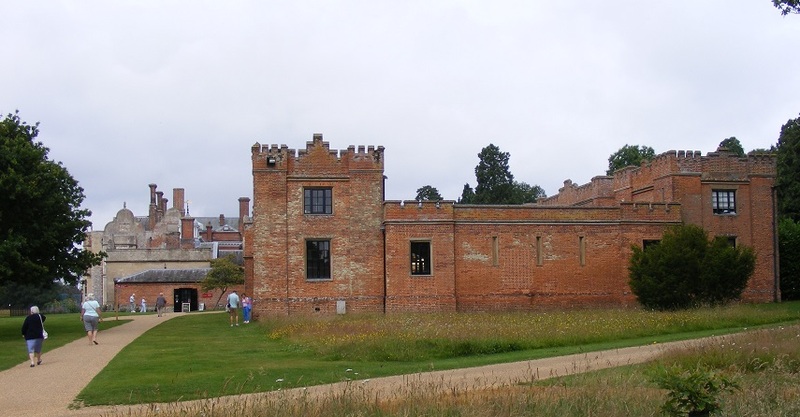 It did look as though it was prosperous with large houses during that period. 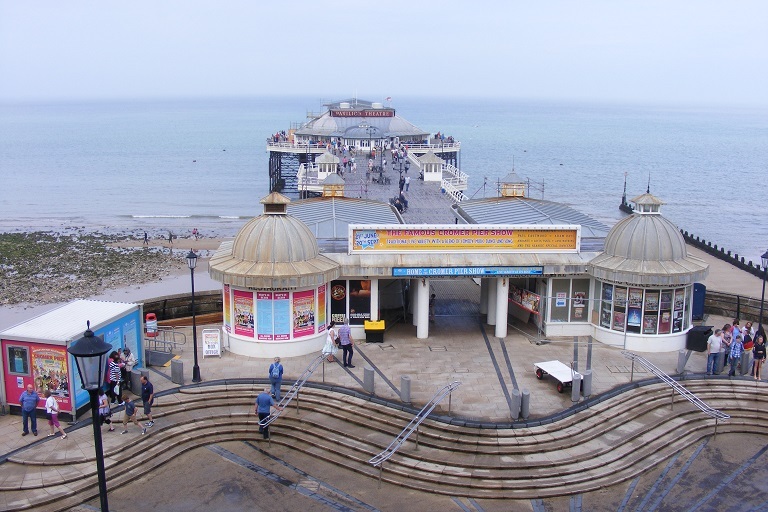 The main hotel in the centre of the town and overlooking the beach looked like a very high class establishment, much neglected of recent years. 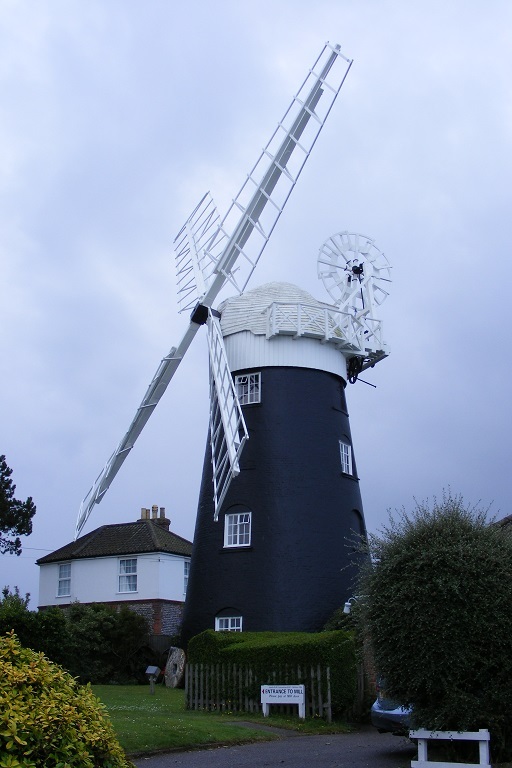 We came across this wheat milling wind mill on the way down the coast. 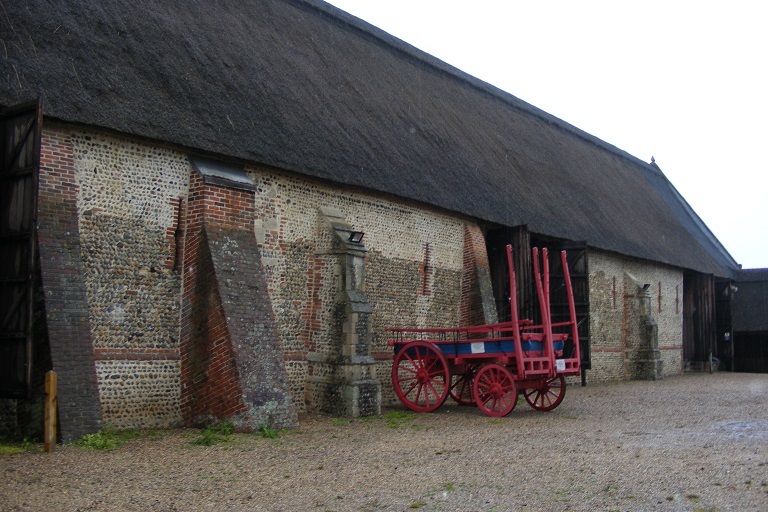 The fabric of the building and sails is maintained fairly well, but most of the machinery inside has disappeared. 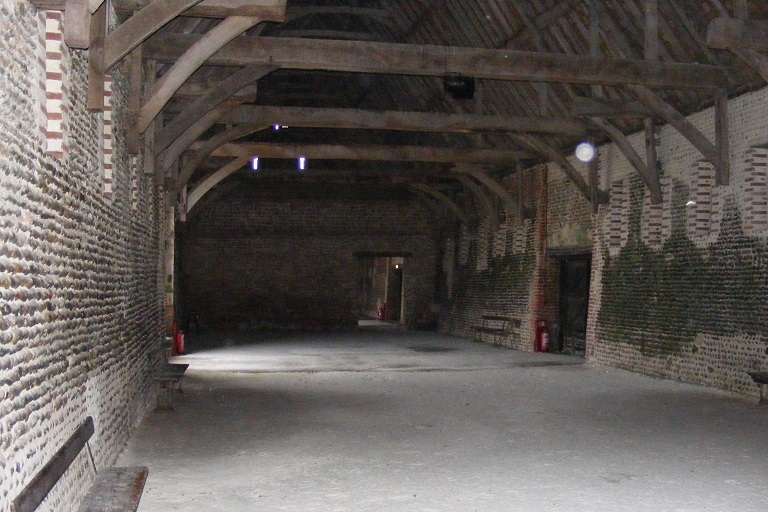 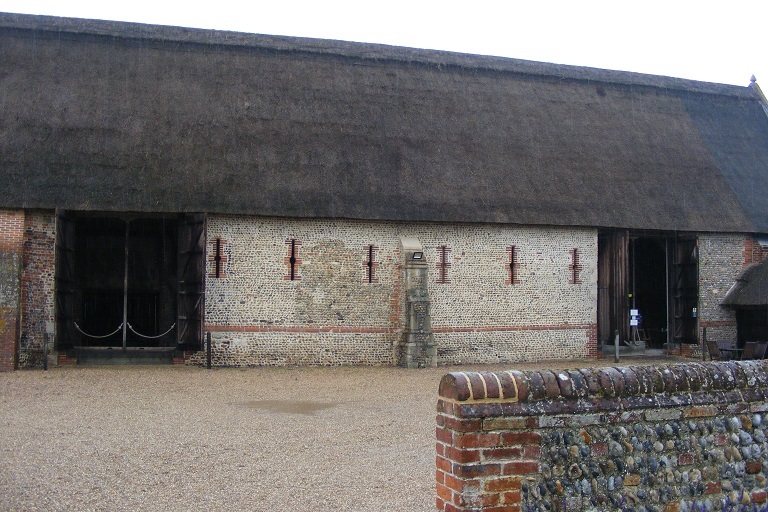 Views of Waxham Barn - an ancient Tithe Barn. 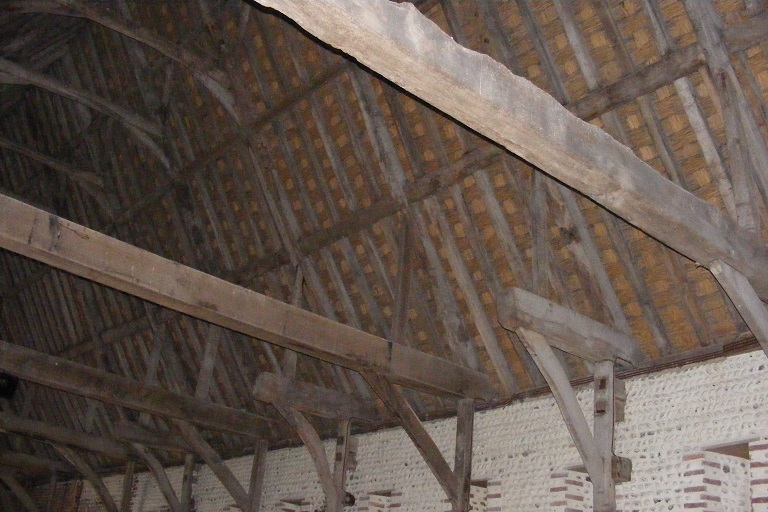 The last view shows the alternating hammerbeams and tiebeams in the roof structure.